Young Croatian cellists Luka Sulic and Stjepan Hauser, together known as 2CELLOS, have achieved sensational success by taking the cello to a new level. Their playing style has broken down the boundaries between different genres of music, from classical and film music to pop and rock. 2CELLOS have no limits when it comes to performing live and are equally as impressive when playing Bach and Vivaldi as they are when rocking out AC/DC. Aside from their huge online following where they continue to amaze with new YouTube hits, 2CELLOS main focus has always been playing live. In addition to many sold out solo tours (US, Japan, Europe) the duo have also appeared on major TV shows such as The Tonight Show with Jay Leno, The Ellen DeGeneres Show (multiple times), Lopez Tonight, TV Total with Stefan Raab, ABC’s The Bachelor and many others. 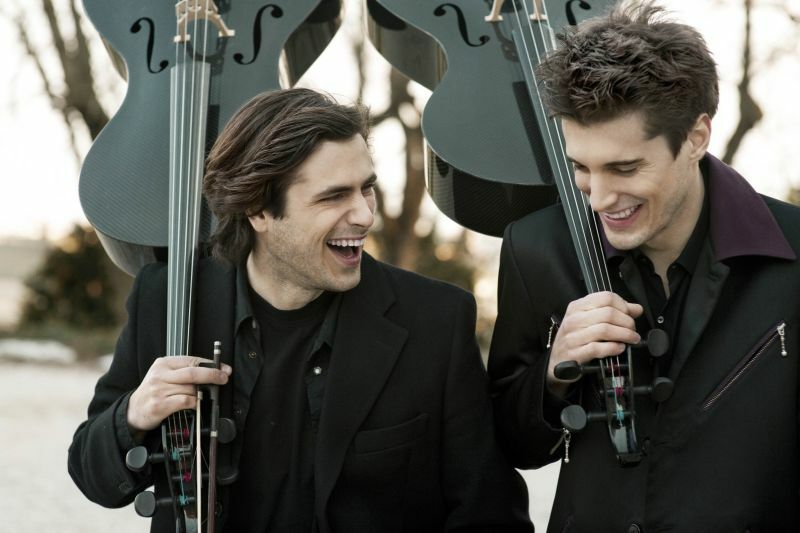 2CELLOS were also the first instrumental act to ever perform on the hugely popular TV series GLEE, where they appeared as special guests in the Michael Jackson tribute episode, performing “Smooth Criminal”. The 2CELLOS’ arrangement of the song, which featured Naya Rivera, debuted at No. 10 on the Billboard Hot 100 Digital Songs Chart and landed the 2CELLOS’ debut album in the Top 100. Together with the Chinese classical superstar pianist Lang Lang, they appeared at the CCTV New Year’s Gala for more than 1 billion viewers. Performing with Sir Elton John on his tour, they have traveled around the globe several times playing with him and opening the shows in massive stadiums and appearing at prestigious venues and events such as Madison Square Garden, Paris Olympia, Queen’s Diamond Jubilee, and the Emmys in L.A.
Luka and Stjepan’s success extends far beyond YouTube and their fan base continues to grow around the world. In addition to touring with Elton John, 2CELLOS collaborated with the Red Hot Chili Peppers, Queens of the Stone Age and George Michael. They have also collaborated on various projects with winning producers T-Bone Burnett and Humberto Gatica and with the legendary film composer James Newton Howard. Sulic and Hauser have played the cello since childhood; Sulic graduated from the acclaimed Royal Academy of Music in London, and Hauser from the Royal Northern College of Music in Manchester, both in 2011. Sulic has won a series of top prizes at numerous prestigious international music competitions including First and Special Prize at the VII Lutoslawski International Cello Competition in Warsaw (2009), First Prize at the European Broadcasting Union “New Talent” Competition (2006) and First Prize at the Royal Academy of Music Patron’s Award in Wigmore Hall (2011) among others. Hauser has worked with acclaimed classical artists such as Mstislav Rostropovich, Bernard Greenhouse, Mennahem Pressler and Ivry Gitlis, to mention a few. He has collected no less than twenty-one first prizes at the national and international music competitions and performed twice for Prince Charles in Buckingham and St. James’s Pallace. Both have appeared in major classical music venues throughout the world including Wigmore Hall, Royal Albert Hall, Southbank Center, Amsterdam Concertgebouw, Vienna’s Musikverein and Konzerthaus. 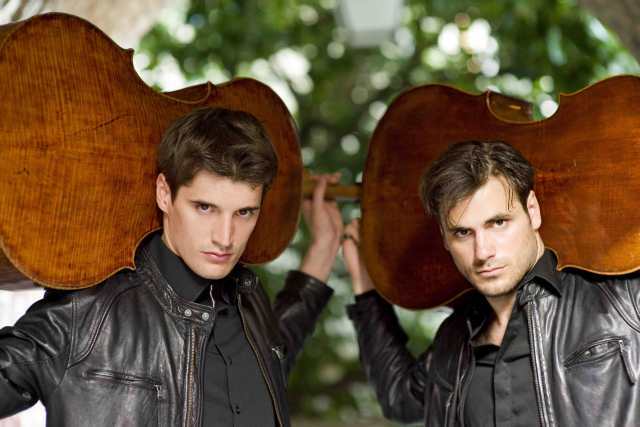 2CELLOS released their second album IN2ITION in January 2013. The album was produced by the legendary Bob Ezrin (Pink Floyd, Alice Cooper, Kiss, Deep Purple) and features an eclectic group of vocal and instrumental guests including Elton John, Steve Vai, Lang Lang, Naya Rivera and Zucherro.